Priceline CEO Darren Huston resigned on Thursday after an investigation found that he had an improper relationship with an employee. The investigation determined Huston acted contrary to the online travel company's code of conduct and "engaged in activities inconsistent" with that expected of executives. Priceline (PCLN) didn't disclose who the "personal" relationship was with other than to say it was someone who was not under Huston's "direct" supervision. The company also said Huston's resignation is not "in any way" related to its operational performance or financial condition. According to Priceline's code of conduct, employees "should not be in the position of supervising, reviewing or having any influence on the job evaluation, pay or benefits of any close relative...or a person with whom you are having a close personal/romantic relationship." The company also says employees have the obligation to report any violations of the code. As a result of Huston's actions, Priceline said he will forfeit part of his unvested stock rewards and won't receive any severance payments. Huston acknowledged and expressed regret over the relationship. Huston is being replaced immediately by the company's chairman Jeffery Boyd, who will serve as interim CEO and president of Priceline while the board launches a search for a permanent successor. Boyd is a 16-year Priceline veteran who successfully led the company between 2002 and 2013 as president and CEO. 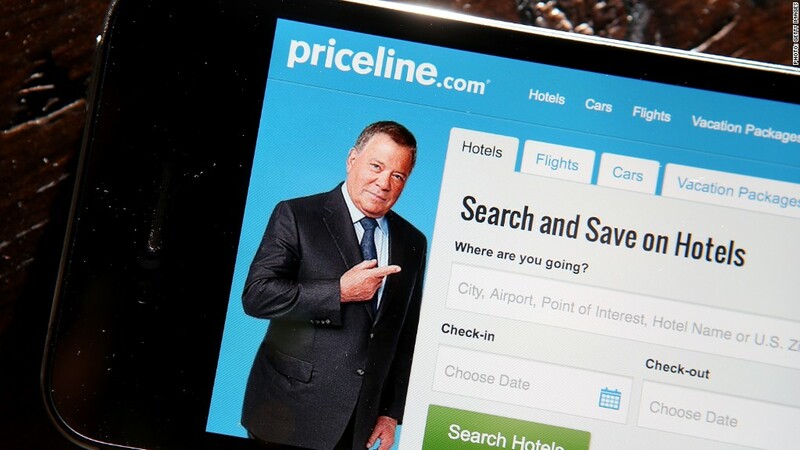 Priceline also said Gillian Tans, the company's current president and chief operating officer, is being tapped to lead Priceline's Booking.com business. Tans has been a leader at Priceline since 2002. "We are confident the company is in strong hands while we conduct a search for a new CEO," James Guyette, Priceline's lead independent director, said in a statement. He added that he's "satisfied" with the "thorough review" of the Huston situation. Priceline hired Huston, a former Microsoft (MSFT) executive, as CEO in January 2014. The company paid him with $22 million in total compensation in 2014, including a base salary of $750,000 and $14 million in stock awards. Compensation data for 2015 was not available. Shares of Priceline, which also owns Kayak and OpenTable, slipped less than 1% on Thursday following the announcement.